The New Zealand Orienteering Championships 2016 will be held in the Nelson Tasman region, in the upper South Island on Friday 25th to Monday 28th March 2016. Entries are invited and close on Friday 4th March 2016. The Sprint is based in the city of Nelson while the Middle, Long and Relay events are being held at the alpine village of St Arnaud. St Arnaud is just over a one-hour drive from Nelson Airport. All three events based in St Arnaud are either based in the village or are less than a five-minute drive. 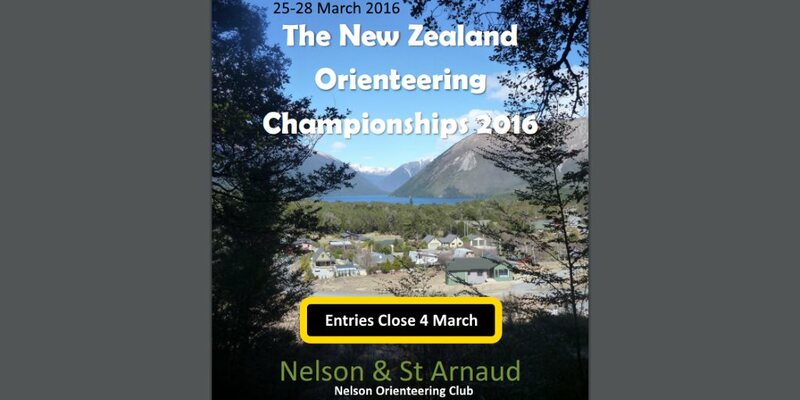 Visit the 2016 NZ Orienteering Champs event website for updates, event programme, and for entries.